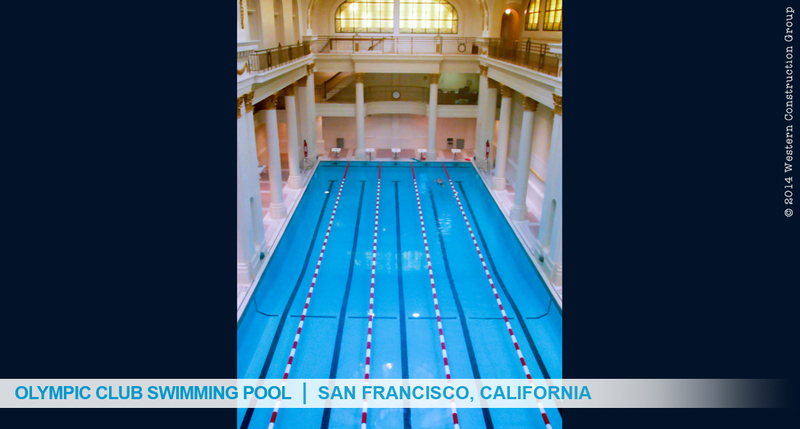 Western Specialty Contractors was contracted to remove the existing plaster surface of the swimming pool, as well as the underlaying waterproof membrane. And then install a new CIM 1000 waterproofing membrane. 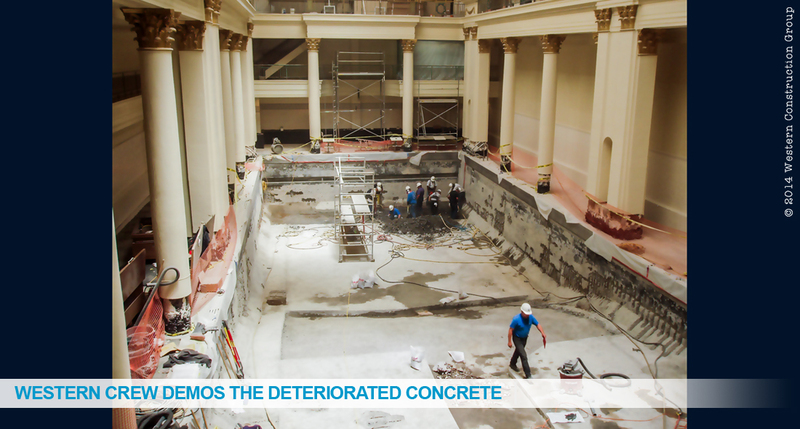 Upon demolition of the plaster and membrane, the crew uncovered many areas on the topping slab that were spalling and showing signs of corroded reinforcing steel. 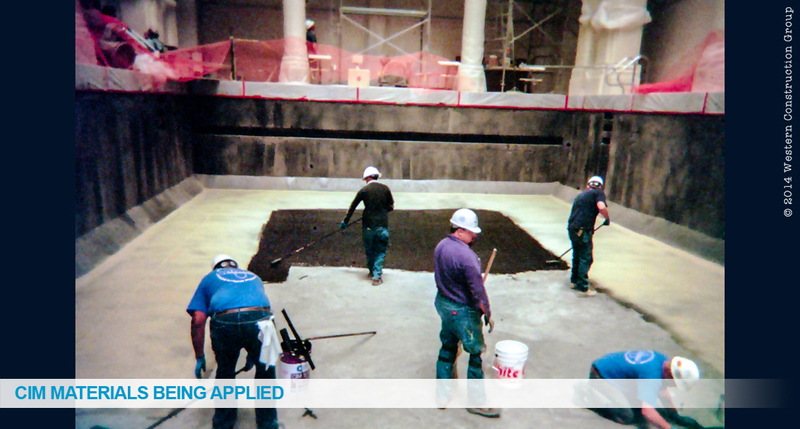 Care had to be taken during the demolition process due to intricate detail work and painting that had been completed in the pool hall.